Kendriya Vidyalayas and Navodaya Vidyalayas as well as new medical colleges and central universities established after 2014 will get grants to service the Higher Education Financing Agency (HEFA) loans. 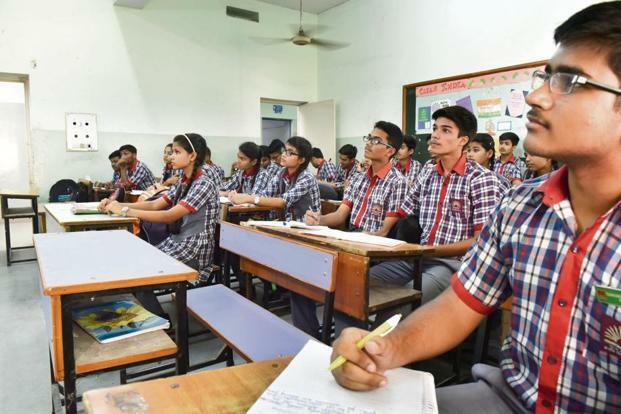 New Delhi: The Union cabinet on Wednesday allowed the human resource development (HRD) ministry to raise ₹1 trillion from the market for funding education research and infrastructure. The funds will be raised from a clutch of sources, including education bonds, commercial borrowings and corporate houses. The money shall be given as loans to government-controlled higher educational institutions, including medical colleges, as well as central government-run school chains such as Kendriya Vidyalayas (KVs) and Navodaya Vidyalayas (NVs) as the Union government explores innovative ways to fund education to reduce the burden on the exchequer. The funds will be raised through the Higher Education Financing Agency (HEFA), a recently minted non-banking financial company under the HRD ministry. The cabinet committee on economic affairs on Wednesday approved enhancing HEFA’s capital base to ₹10,000 crore from the current ₹3,300 crore, Mint first reported the proposed plan on 3 June. “The cabinet committee on economic affairs…approved the proposal for expanding the scope of Higher Education Financing Agency (HEFA) by enhancing its capital base to ₹10,000 crore and tasking it to mobilize ₹100,000 crore,” law minister Ravi Shankar Prasad said after the cabinet meeting. The ₹10,000 crore capital base includes present and subsequent contribution from Canara Bank, a joint venture partner of the HRD ministry for establishing and running HEFA. HRD minister Prakash Javadekar termed the decision a “landmark” development that will work as a “huge push for research and academic infrastructure with social equity”. This move will reduce the budgetary pressure on the exchequer at a time when the government is facing a funds crunch, said an HRD ministry official who asked not to be named. The ministry may effectively save the few thousand crores of rupees it is giving on grant for infrastructure development and bring in fiscal accountability among institutions, as most of these loans will be paid back by institutions, said the official. Technical institutions like Indian Institutes of Technology (IITs), Indian Institutes of Management (IIMs) and National Institutes of Technology (NITs) that are more than 10 years old will repay the whole loan from their internal earnings, while technical schools started between 2008 and 2014 will repay 25% and rest will be paid from government grants, according to the cabinet decision. Central universities established before 2014 will have to repay 10% of the loan they take from internal resources and will receive a grant for the remaining part of the principal. KVs and NVs as well as new medical colleges and central universities established after 2014 will get grants to service HEFA loans. So far, funding proposals worth ₹2,016 crore from some of the older IITs have been approved by HEFA and nearly ₹9,000 crore more of loan proposals are in the pipeline for development of education infrastructure and research capabilities at various IITs, NITs and other technical schools.